The wellness community agrees on this issue: We eat too much. And portion size is a big part of the problem (bad pun unintentional). Restaurants are a challenge. Portions tend to be Kong-sized, and we tend to eat everything the server puts in front of us for good reasons. We hate to waste food, especially expensive restaurant food. An article in the Sunday NYT points out that the FDA’s ‘serving size’ standard on food nutrition labels may be part of the problem too. Breakfast cereal makes a good case study: the FDA serving size is like a handful; my cereal bowl is like a truck-load. 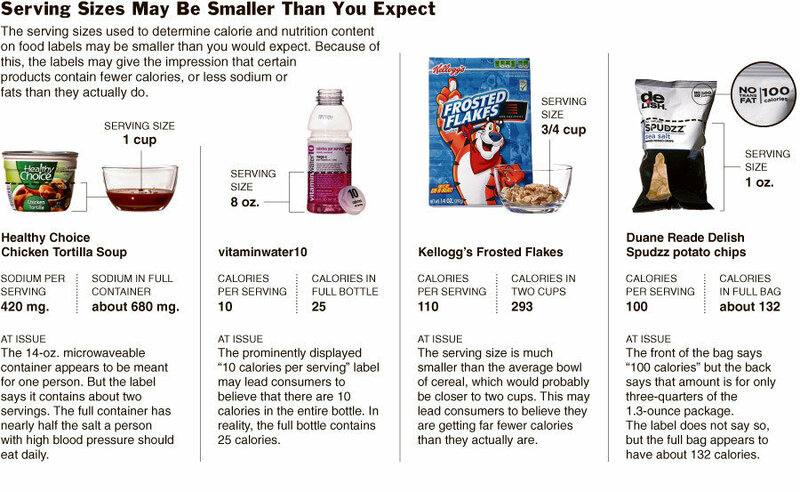 Click the graphic at right for a visual cue about portion size, and click here to read the entire article on the NYT web site.